no longer has to break the bank. At Congers Collision, our customers always come first! We work hard to make the auto body repair process as quick and easy for you as possible. We guide you through the insurance process, will set you up with our rental car and/or towing services if needed, and will assist you with everything else until your car is restored back to factory condition. We take pride in our excellent customer service and strive to exceed our customer’s expectations. We are confident that once you use us once, you will refer all your friends, family and co-workers to us. We only use state-of-the-art equipment, and all of our repairs are guaranteed for the lifetime of your vehicle. Come in to our location today and see how we can assist you with all of your auto body repair needs! Don’t be tricked into being charged for an estimate. Any legitimate auto body shop will never charge for an estimate. Come in today to Congers Collision and we will gladly give you a full evaluation and estimate free of charge! 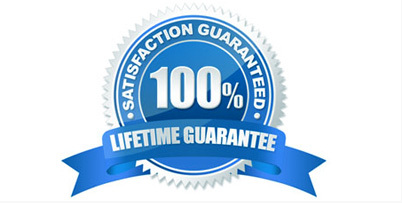 Each and every job that we complete is backed by our 100% lifetime guarantee. When you hire us, you can be confident that the work we do will be done properly. We fully stand behind our work and know that you will be happy with the end result! At Congers Collision, you will never have to worry about whether your insurance will be accepted. 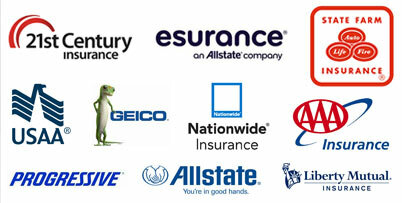 We accept all automotive insurance companies. We will also help you each step of the way to make the process faster and easier!